Everybody likes a clean walkway, a clear driveway and easily accessible paths during the winter months. There is a great feeling when you step outside to brave the winter on your way to work and you can just walk straight to your car without traveling through mountains of snow. Of course many of us bring out the shovel for simple snow removal, however on those really snowy days there is nothing more handy than a properly working snowblower. When it comes to choosing a snowblower to purchase, there are several options that can make it a little confusing to decide on a particular brand, model, and price point. You may have come across three-stage snow blowers and wondered what made these small engines worth the extra cost. Well wonder no more as we are going to answer that today. The short answer is that three-stage snow blowers clear snow a lot faster. In fact, studies show that they remove snow 30% or more faster than two-stage models. You see the three stage snowblowers have a third auger which is an accelerator. This third auger is perpendicular to the collection augers and it corkscrews into snow piles, hurling snow, ice, and slush through a discharge impeller which is then shot out of your path. In comparison, two stage snow blowers do not have this accelerator and single stage snowblowers have only one quick-turning auger. So single stage snowblowers, while much cheaper will mean that you are going to spend significantly more time outside removing snow compared to a three stage snowblower that will get the same job done in a fraction of the time. If you need to move piles of snow quickly then you should definitely consider a three stage snow blower and have it at the top of your wishlist. One thing to note is that not all three stage snow blowers are created the same. If you are short on storage space then you should look for a compact three stage snow blower to make storage easier. You will still get most of the benefits of the larger units but with the added benefit of a compact size – and sometimes a cheaper price! The larger units tend to throw the snow further but for the difference in price this may be a small benefit and you can always grab the shovel and do some quick tidy up after you remove the bulk of the snow. Plus you’ll have the extra spare time and energy since you will be saving both with a three stage snow blower compared to a single or two stage unit. Regardless of the snow blower you purchase or have currently, they all need maintenance and snow blower tuneups for proper functioning and increased lifespan. We can take care of all of your snow blower repairs and maintenance for your single, two, and three stage snowblowers. 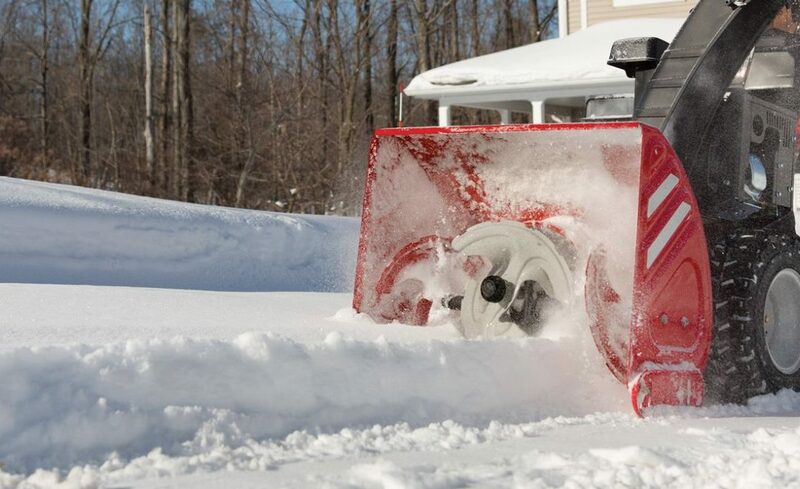 When you need to remove snow without getting frostbite, there is nothing better than a properly tuned and well-performing snowblower. We can help make that happen with our mobile small engine service. Give us a call to book your small engine repair or snowblower tune up today!